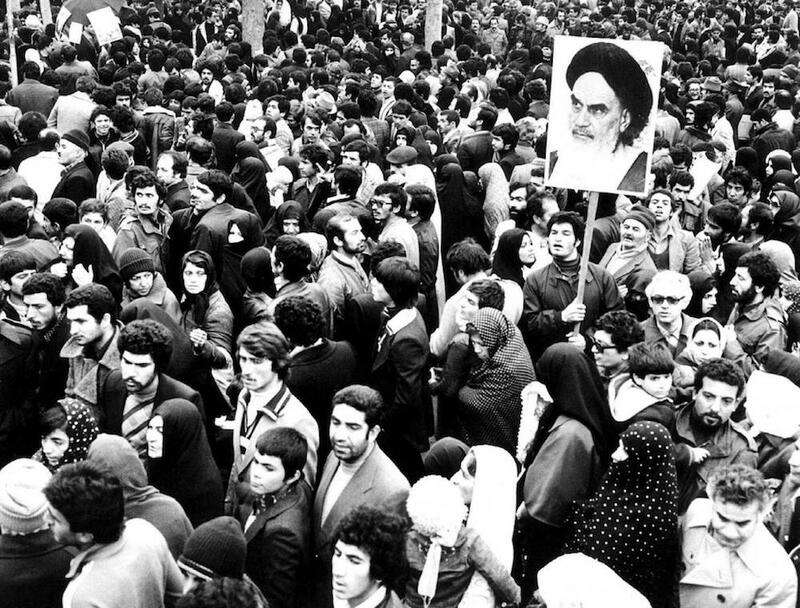 For several years after the 1979 revolution, Iranians were visually indistinguishable from one another; everyone looked and dressed more or less the same. The country was united by a revolutionary atmosphere and the common struggle against sanctions, followed by the war with Iraq. Even if some people were rich, or were “old money,” no one publicly flaunted their wealth or used it to put down others. This phase passed, Iran’s relations with the West improved, and the economy even began to grow a little in the second decade of the revolution, making life a lot easier for millions of Iranians — at least until a new round of sanctions over Iran’s nuclear program while Mahmoud Ahmadinejad was president. Even the 2015 nuclear deal to end the sanctions was of little benefit to ordinary Iranians, and none at all when US President Donald Trump withdraw from it last May. Throughout all this time, however, the regime in Tehran has been reliant on revenues from oil. And when sanctions were in place, it needed people skilled in the operations of the black market to negate their effect. The result is that, while ordinary Iranians have suffered increasing impoverishment, people involved in sanctions-busting, money-laundering and other associated nefarious practices have become very wealthy indeed — some of them visibly so. The result is a generation of young people called “the Aghazadeh” — in Persian, literally “the noble-born,” the children of the hierarchy and those affiliated with the system who can enjoy luxury living while most ordinary Iranians struggle to finance their daily lives. They drive the latest-model sports cars, wear the latest chic styles and own luxury houses and apartments. Their money and connections permit them to travel without hindrance while ordinary Iranians are living on the poverty line. While ordinary Iranians have suffered increasing impoverishment, people involved in sanctions-busting, money-laundering and other associated nefarious practices have become very wealthy indeed. Many of these people have never done a day’s work in their lives, but live in comfort overseas. Even the great-grandchildren of the leader of the revolution, Ayatollah Ruhollah Khomeini, shuttle between Canada and Iran and are not shy about sharing their photos on social media. Most curiously of all, while the regime’s pet clerics shout “Death to America” every Friday, the elite and their children seem to be so fond of the US that many of them actually live there. This hypocrisy has not escaped the attention of ordinary Iranians, who have urged Washington to cancel these people’s visas, and it now appears that the US may be about to address the issue. “I can tell you that we are working on it, and while I can’t discuss individual cases or internal policy deliberations, you can be sure that we are pursuing all options to pressure the corrupt hypocrites in your government to change their behavior,” Brian Hook, special US envoy for Iran, said on a video last week on the State Department’s Persian-language Twitter account. It will be interesting to see if the Trump administration deports these hypocrites. In any case, my prediction for 2019 is that human rights and individual rights will be at the center of Iranian protests next year.